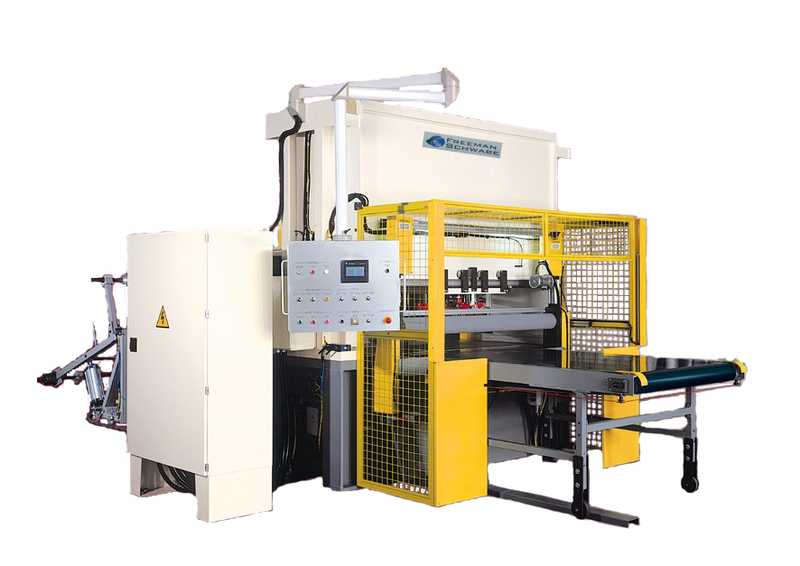 Bed Width 64" to 120"
Head Sizes from 20" x 20" to 40" x 40"
Turret head with four axis CNC control system for multi-die handling capability. 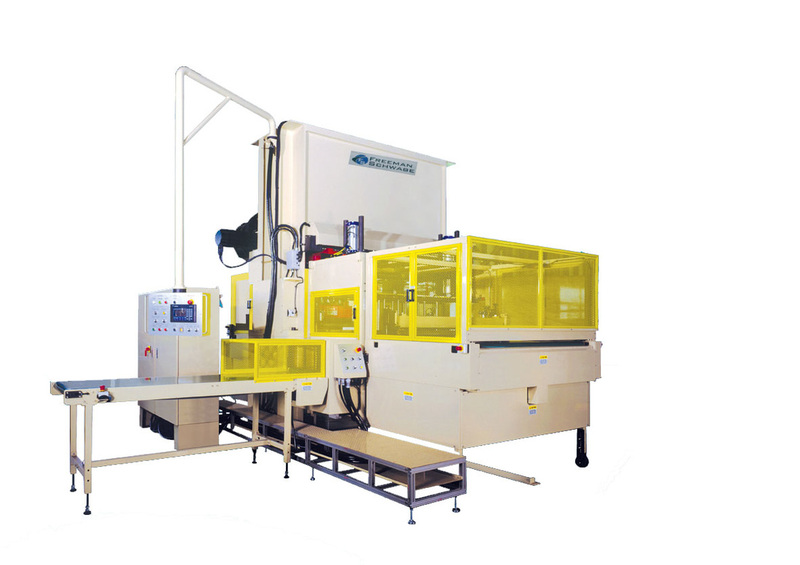 Unique traveling head featuring high tonnages and customfeeding/stacking systems. Optional knockout and stacking units available. The head movement is controlled by an Allen Bradley controller with the benefit of a die cutting data memory for immediate recall of information. 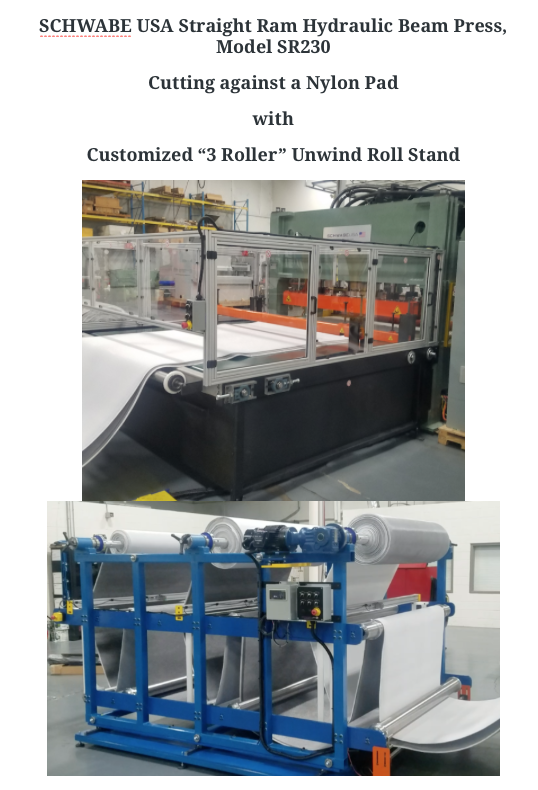 Available with a variety of feed systems such as roll, clamp, belt and sliding tables. 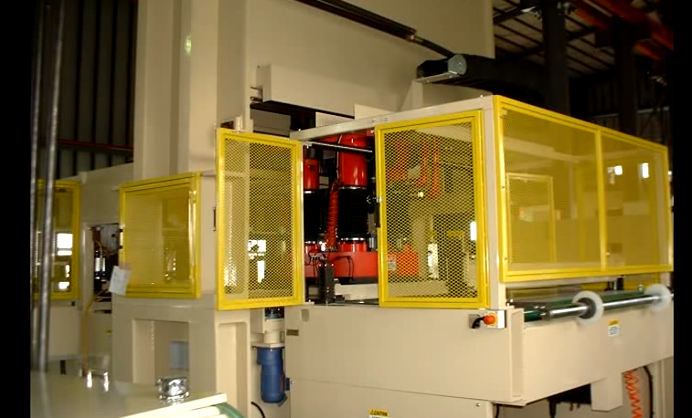 The automatic movement of the head is controlled by an on-board PC or CNC controller and, like the SR Series, these presses feature a die data memory for immediate recall of information.